The Raycam Speedresser 24H is a 2.4m wide drop-spreader designed to handle all top dressing material. The 4 flotation tyres minimise the risk of turf damage & compaction. Ideal for golf courses & sports fields use, both with private clubs, local authorities and contractors. The Speedresser 24H requires a tractor of at least 75hp, and is PTO driven, via a heavy-duty transmission to an agitator and twin rollers. The twin rollers are now hydraulically adjustable against a pre-set stop to alter spreading rate applications. 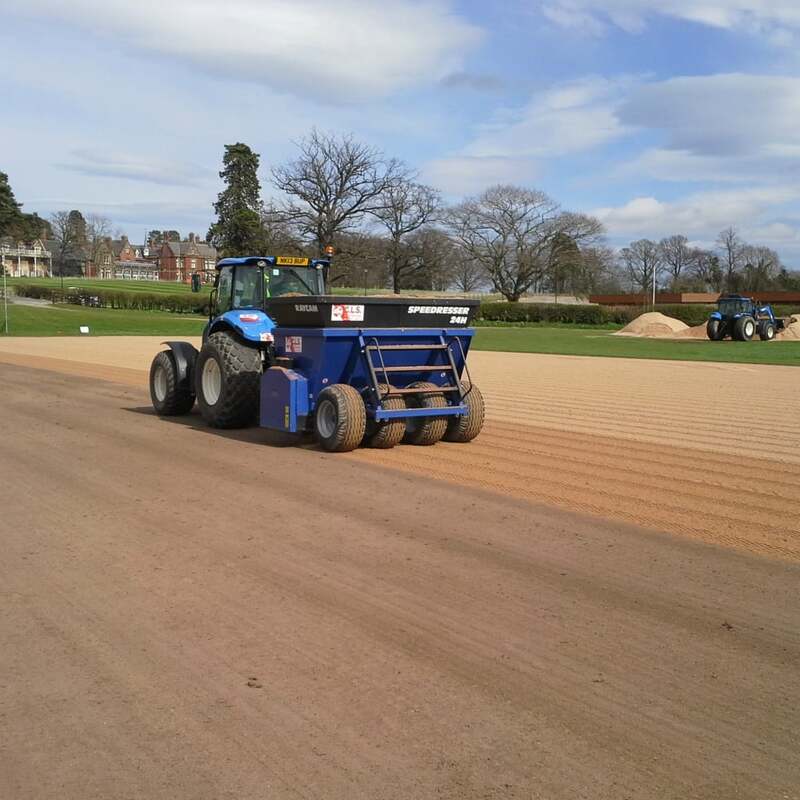 The high work rate enables the spreading of top dressings up to depths of 2mm – 75mm in one pass. 75 hp + Hitch/drawbar and spool valve.